with 250m², 6 bedrooms, of which 5 en suite, adjoining house 70m² to be renovated, large tyard, terrace, summer kitchen, big garage, situated in the centre and overlooking a charming village, possibility for B&B and gite. This property offers a large private space and the possibility of rental activity as gîtes and guesthouse. 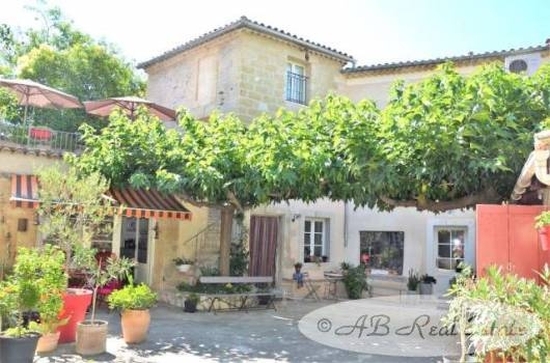 Situated in the centre of a lively village with all conveniences near Pézenas. It is the ideal place for clients wishing to discover the region and its history. The original features of the village_house make it unique and offer beautiful views on to the village. Excellent situation with easy access to the railway, airport, beach, mountain and motorway.